Friends and romantic partners tend to have certain characteristics in common, such as age, education, and even intelligence — and yet, research has long suggested that personality isn’t one of these commonalities. But a new study, using behavioral data gleaned from social media, shows that people are more like their friends and partners than previously thought. The idea that romantic partners or friends would be similar seems pretty intuitive — after all, sharing specific likes and dislikes and having common interests serve as a foundation of our relationships from our earliest days. “Surprisingly, decades of research had found no evidence,” says psychological scientist Youyou Wu of the University of Cambridge and Northwestern University, first author on the new study. The problem, Wu and colleagues hypothesized, was that many researchers had been measuring personality using self-report questionnaires, asking individuals to rate their own personality traits. 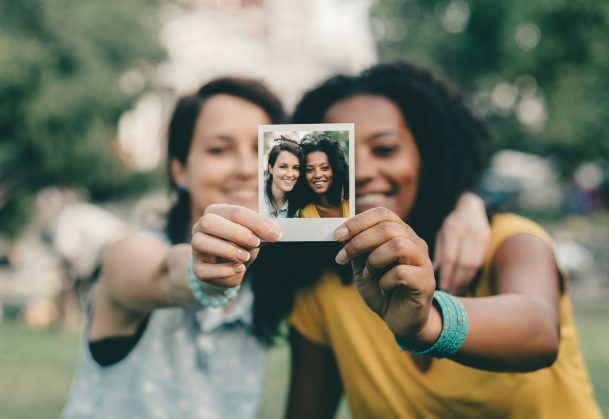 The researchers speculated that this phenomenon, called the “reference group effect,” pushes apart personality scores between friends and also between romantic partners. To circumvent this bias, they measured personality based on observing people’s behavior — in this case, digital behavior — instead of self-report questionnaires. Using a Facebook app called MyPersonality, Wu, Kosinski, and colleagues H. Andrew Schwartz (Stony Brook University), and David Stillwell (University of Cambridge) collected Facebook data and personality questionnaire scores from 295,320 participants. Using these data, they trained statistical models to infer people’s personality traits from their Facebook “Likes” and status updates, a method the researchers had developed in previous work. As the researchers expected, behavior-based measures of personality revealed a substantial similarity in personality between friends and between romantic partners. The research reveals an exciting new tool for understanding close relationships, and highlights the importance of choosing appropriate tools to measure psychological traits such as personality in different contexts. Although the data indicate that friends and partners are more similar than previously thought, the researchers note that the findings do not shed light on the causal order of things. That is, the data do not show whether people are attracted to each other because of commonalities that already exist or whether they become more like each other over the course of time. Importantly, the study shows how scientists can update their evaluation of a phenomenon as new tools and evidence becomes available.